Saturate washcloth with remover and apply to face and eyes in a circular motion, then rinse well with warm water; pat dry. 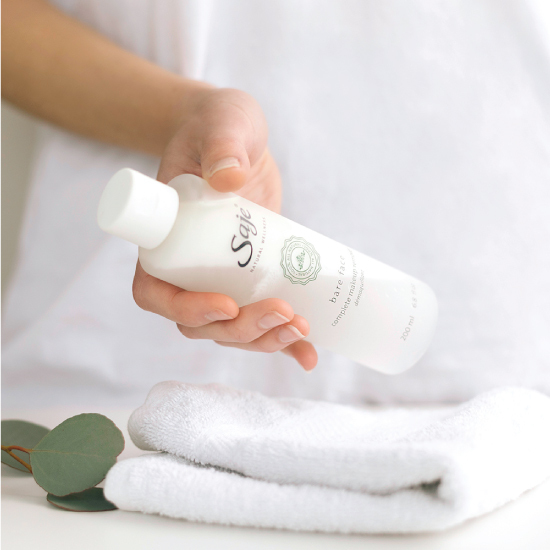 Follow with favourite Saje cleanser, toner and moisturizer recommended for your skin type. Herbal and floral; eases skin irritations and acne. Shake vigorously before each use to combine plant-based oils and water. Then, saturate washcloth with remover and apply to your face and eyes in a circular motion. 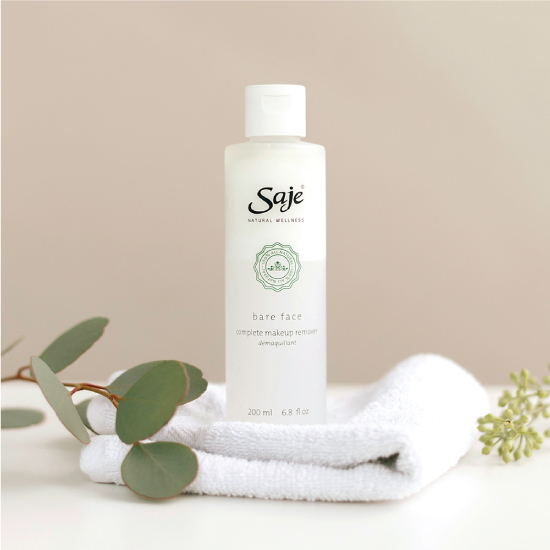 Next, rinse well with warm water, pat dry and follow with your favourite Saje cleanser, toner and moisturizer for a complete skin care ritual. #SajeTip: For added effect, after applying Bare Face to the skin, use your favourite Saje Konjac Sponge to further blend in and remove makeup.